*) This movie is a full-fledged family entertainer from the director Krishna Vamsy; and similar to his past movies like Ninne Pelladatha, Murari and Chandamama. He is excellent in presenting Telugu Tradition and Culture. *) This movie is a multi-star movie. Excellent entertainment. 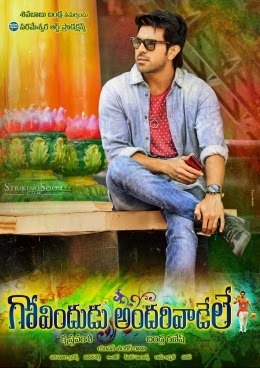 *) Hero character actor Ram Charan Teja action is simply superb. His dance is excellent. This movie is completely different to his past movies. Heroine character actor Kajol action is good. *) Prakash Raj has played a major key role in this movie. His performance is excellent. Jaya Sudha action is very good. They have a nice song. It's really something different. *) Srikanth and Kamlini action is very good. Srikanth character has taken care about complete entertainment part. *) Picturization is some how different. Script work is very good. Photography is very good. Songs are good. *) Villain characters are only for sake of story. *) Srikanth character's love story would have been specified clearly. *) There is no much specialty in the main storyline.